If you want a fake piano, you can have a fake piano. You can have increasingly-good models and samples in hardware, but you can really get a fake piano on your computer. You can buy entire hard drives just to store the gigabytes of samples. You can load massive instances of Kontakt with different recorded sounds for every note, every articulation. You can have new pianos, old pianos, countless Steinway samples. You can even have a ridiculously-tall upright. Or, you can have Pianoteq. 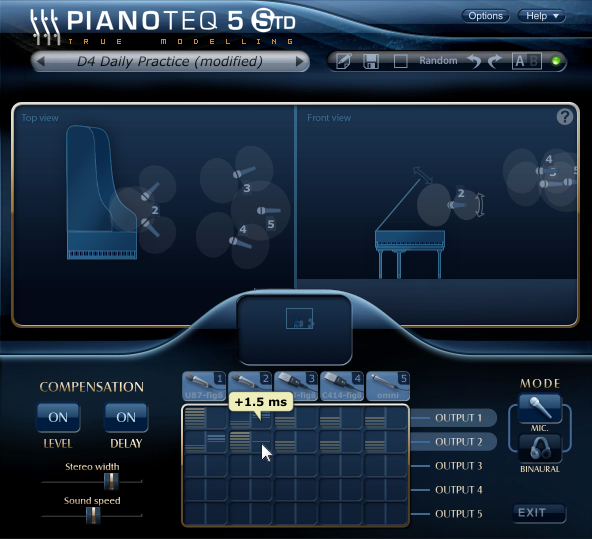 Whereas others gobble hard drive space, Pianoteq uses sophisticated modeling techniques that skip the samples, meaning it can fit onto a flash drive. It’ll run on Linux – I’ve gotten it running convincingly on a netbook. And because it uses models, you can also load any number of wild and oddball historical models and other instruments if you like, without having to clear half your drive. You can modify the models to do impossible things. And most importantly, what I’ve always found with Pianoteq was a selection of instruments I really loved to play. 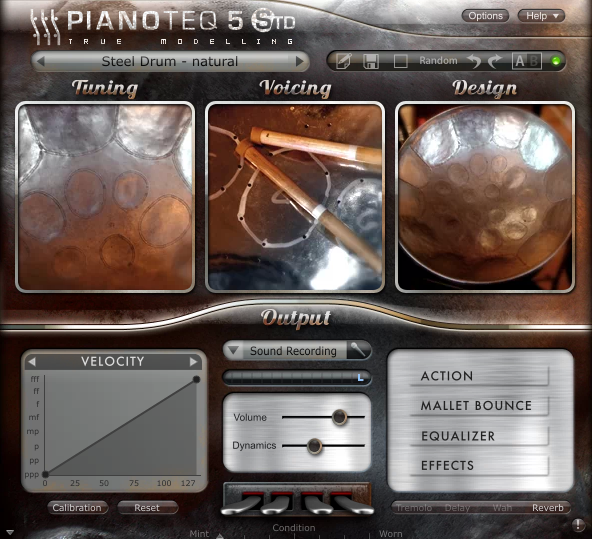 Whatever comparisons you could make about sound, Pianoteq always felt alive in a way software instruments often didn’t. It sounds better. Gradually, slowly, Pianoteq has improved its sound. Now, the developers have gone after two of the most significant details – the attack of notes, and the way the soundboard resonates. It certainly sounds clearer, in a nice way. There’s a new K2 model. 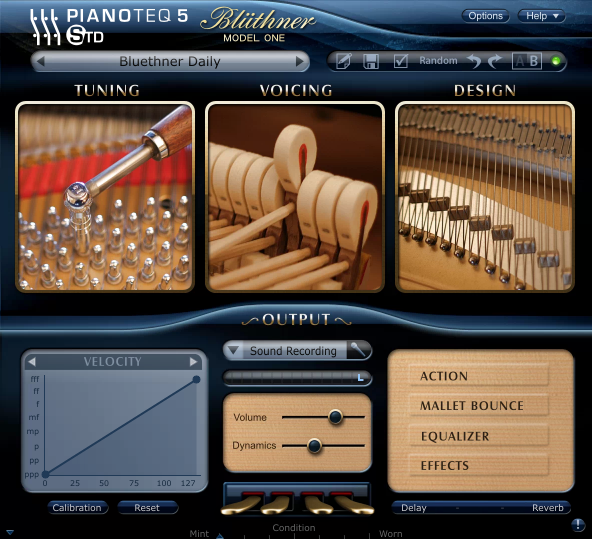 Here’s the thing: software models of pianos, whether sampled or using physical models or some combination, are becoming their own instruments. 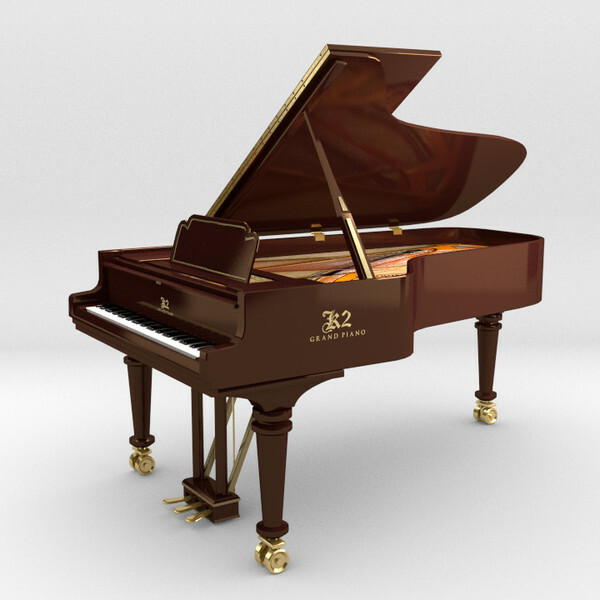 The Grand Piano K2, apparently modeled on the popular Kawaii, nonetheless combines several source instruments. I’d been mostly defaulting to the Steinway (never been a Yamaha piano fan), so I’m keen to spend some time with this one. Party. In Austria. Like it’s 1799. The Kremsegg Schloss Museum has devoted some new historical instruments. These are rather fun to try out with, especially with Pianoteq’s various point-and-click tuning models, even if you aren’t trying to reproduce 18th- and 19th-century music. In the mix this time: pianofortes J. Dohnal (1795), a J. Broadwood (1796), and grand pianos, including an I. Besendorfer (1829), an I. Pleyel (1835), a J. Frenzel (1841), an S. Erard (1849), a J.B. Streicher (1852) and a C. Bechstein (1899). Better directional mic models. This wasn’t as much of a strong suit in previous versions, so it’s welcome – you get fifteen mic models for directional sound, and the ability to rotate them in 3D or attach them together, with polarity/proximity effect controls. In other words, this is closer to how you’d mic things in the acoustic environment. You can also buy the models you want, choosing acoustic, electric, or chromatic (think vibraphone). Additional instruments run you $59. I rather like having all of them, however, and it’s not a horribly expensive proposition – and as I said, takes up almost no drive space. I know Pianoteq can divide people: they either immediately take to it, or not. I’m absolutely in the former camp, utterly addicted to it, as one of the few instruments I demand on my machine at all times. But it’s easy enough to give it a try: there’s a generous free trial, and the best way to see if it’s for you is to play it. All that, and steelpans. Seriously, they have a lot of models in here. It’s more than just a piano instrument. One artist I know shares my passion for the instrument is Rutger Muller. His Von Nohrfeldt project is a fascinating contemporary classical – techno – ambient hybrid, miles away from even a lot of the post-classical music you hear these days. This is driving, jazz-inflected experimental electronic music deeply rooted in classical instrumentation and form. And so, for something very different from the Pianoteq sound samples, here’s his work (which I hope we cover in more detail soon; they’re doing some touring in festivals).